Morgan Announces Run for Auditor: Win, Seth, Win! 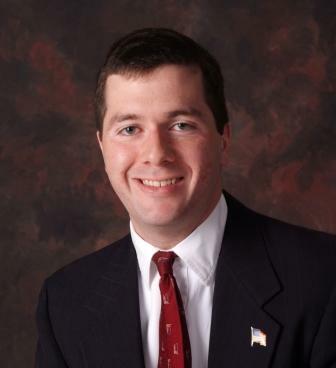 State Rep. Seth Morgan (R-Huber Heights) announced earlier today that he is running for Ohio Auditor of State. This news comes a week after Ohio Republican gubernatorial candidate John Kasich announced that current Auditor Mary Taylor will run with him as the GOP candidate for Lieutenant Governor. I’ve been saying since the first murmurs of a Morgan candidacy started that I believe he’s the right man for the job. His term as a state representative has been all about government transparency and accountability. Why wouldn’t we want someone like that as our next Auditor? Moreover, Seth Morgan (like Mary Taylor) is a Certified Public Accountant (CPA). He has the skills necessary to make sure the Auditor’s job is done right. Rob Portman, John Kasich, Mary Taylor, Jon Husted, Dave Yost, Josh Mandel, and now Seth Morgan — that’s a winning conservative ticket that will bring real change to Ohio. Of course, you’ll always have your naysayers. Morgan is too young and inexperienced, some say. I say he’s just the fresh face that we need to bring even more enthusiasm to the GOP’s statewide ticket. Some say that he doesn’t have what it takes to raise the money necessary to beat David Pepper. I say that those folks haven’t been paying attention to this political climate, in which grassroots movements of ordinary folks have been ensuring that solid conservative candidates get the money they need to take on the Democrat machine. The Tea Party movement and other movements of grassroots conservatives will rally behind Morgan, wait and see. net, except I know I am getting familiarity all the time by reading such nice posts.